While money may make the world go round, businesses can’t afford to forgo employee benefits if they want to attract and retain top talent. Glassdoor’s Employment Confidence Survey found that 79% of employees prefer new or additional benefits to a pay increase. Apparently, money can’t buy happiness — but benefits can. With companies competing for talent with every bizarre and fantastic benefit — from free beer on tap to infertility coverage — small businesses can still compete by knowing what most captivates employees. Not surprisingly, 55% of full-time employees say health insurance is the most important benefit they receive, according to a recent study from Clutch. “Employees are concerned because both medical treatment and health insurance are so expensive,” said Chris Wolpert, managing member of Group Benefit Solutions. Employers are listening. The most commonly offered benefits include paid vacation time (65%) and health insurance (62%). Despite paid vacation time being the most commonly offered benefit, only 18% of employees find it the most valuable, followed by overtime pay (18%), and retirement funding (11%). Offering health insurance may seem expensive and complicated, but businesses get an added bonus on top of attracting top talent. “People are a valued asset. 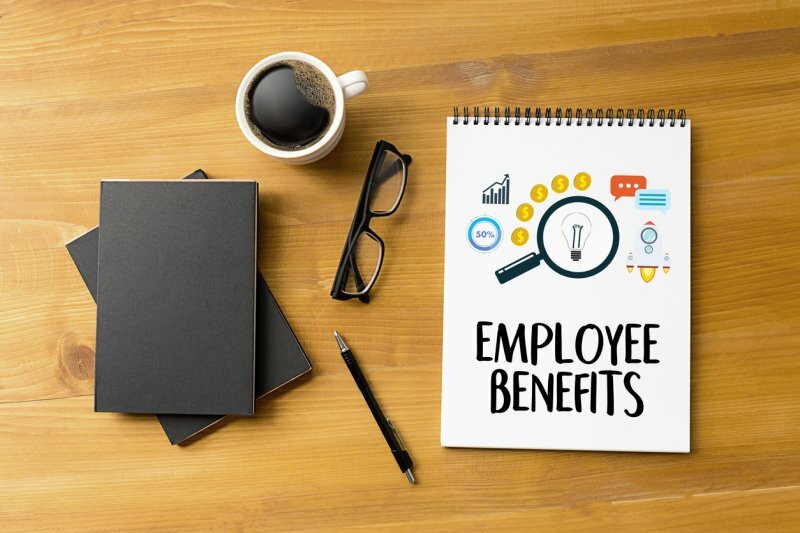 Offering these benefits and educating employees on how to utilize them is an investment in workers and in their long-term health,” said Lisa Oyler, Human Resources Director at Access Development. Unfortunately, the same can’t be said of free beer. 32% of respondents who receive benefits reported being dissatisfied, mostly because they’d prefer more of a benefit they already enjoy rather than just access to more benefits. Clearly, benefits alone don’t attract top talent — valuable benefits do. “It makes no sense to create a policy that employees don’t think adds any value for them. These benefit choices should be a conversation,” said Mary Pharris, director of business development and partnerships for Fairygodboss. Consider this research a starting point for the conversation. Businesses can go wild with fun and peculiar perks, but when top talent makes the final decision, they value the most common employee benefits over bells and whistles.